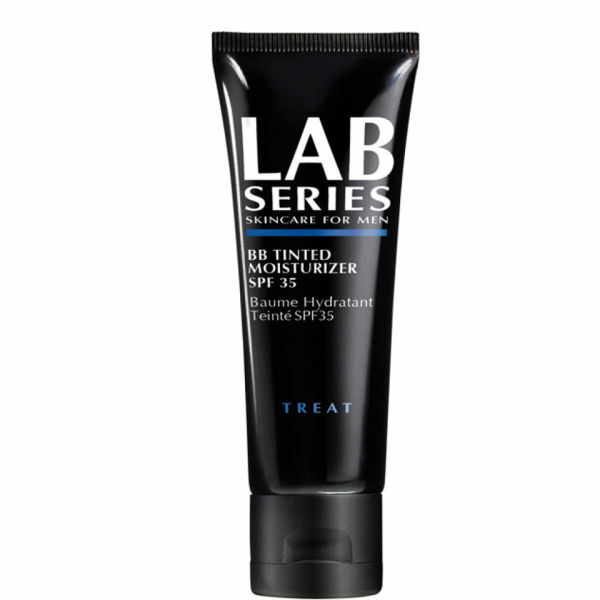 Maintaining with long term superior technology Lab Series BB Tinted Moisturiser SPF35 is a multifunctional reparative and corrective treatment formulated for all skin types. Instantly perfecting the skin one shade adjusts to your skin and creates a complementary sheer finish. Illuminating your complexion with soft focus optical effects this tinted men's moisturising blemish balm cream with continued use will leave your skin looking with even texture and tone , looking brighter, more refined pores, diminishing sagging skin and lines/wrinkles. 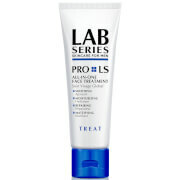 Also the SPF 35 provides daily protection against harmful UVA/UVB which is known to cause premature aging. This Lab Series BB Tinted Moisturiser 50ml is a very nice moisturiser with a light tint! I was little worried at the beginning because I'm not very big fun of LAB series but this one is very great! Also, one of the things that made me to decide to buy this product is the SPF35 which provides both UVA and UVB protection - something that you can find rarely for man series face sun screens (usually for man series most of the companies have UVA only or they mention only UV rays protection without mentioning which one). Without doubt, the best moisturiser I have used and I've tried every make under the sun. I'm now onto my fourth tube and have no need to look for anything better. It makes your skin look really even and fresh. Loads of people have commented how well I've been looking lately as I head into my 40's and it's all down to this little gem. Great to have it in a tube too, much more practical than a jar. This is a really great product. Gives a nice tint to your skin and lasts for the full day. 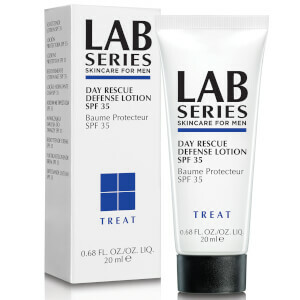 Having tried a number of different Lab Series products over the years, I was dubious about this one as I'd found everything I'd tried of theirs previously to be very poor indeed (especially given the price). This stuff however is actually really good. I'm not convinced it addresses all 10 things it claims to, but still worth the money. You need to make sure you rub it in properly otherwise you can end up with an embarrassing build up on your face, but done properly it blends in well. This stuff is brilliant. Don't be put off by the description 'tinted' as the moisturiser quickly adapts to your skin colour. I had high hopes for this having read the product description it promises everything and reviews. But within a couple of hours of using it, my skin was dry, irritated, red and very unhappy. Not for me. One of the best face creams I have ever used. Previously i had not really been a fan of Lab Series, believing that the hype did not match the performance. However the BB Tinted Moisturizer is a real "game changer". The best moisturizer I have ever tried: great moisturizing, perfect colour that covers any imperfections without looking false and great SPF. Over the years I have tried many, many different moisturizers and let me repeat: THE BEST MOISTURIZER EVER!! !